We ordered these for our groomsmen and fathers for our wedding gifts. The guys LOVED them. Good size and really good weight. 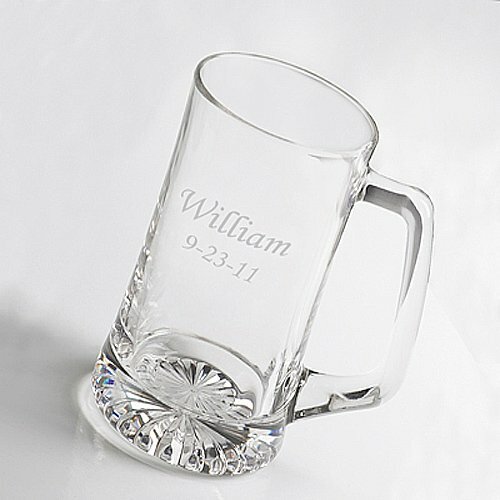 Classic styling and custom engraving make this personalized glass sports mug a one-of-a-kind gift any groomsman will love. Styled like a traditional bar mug, each glass features a weighty bottom and smooth-grip handle. Personalize with up to two lines of text (maximum of 15 characters per line). Each holds up to 25 oz.